That is why I am SO HAPPY to now have the LiftMaster Universal Mini Remote Control! I have a new way to get back into the home after a walk, run or bike ride – and I don't have to remember to grab a different garage remote, bring a house key or risk any one leaving the garage door open. The Universal Mini Remote Control, developed by LiftMaster, weighs just 1.6 ounces and can easily attach to a key ring, lanyard, backpack or exercise apparel – and makes for the perfect Father’s Day gift. The remote provides an easy way for active homeowners to access their home via the garage, even when they’re on the go. Plus, it is super simple to program and compatible with more than 90 percent of garage door openers! That is a must for me! And, the Mini Universal Remote Control features two independent buttons to allow the operation of two different garage doors. The Mini Universal Remote also offers optimal security benefits. With a functional and portable design, homeowners never have to worry about leaving a remote in the car, and with LiftMaster's built-in Security+ 2.0®, the remote has increased range and performance. 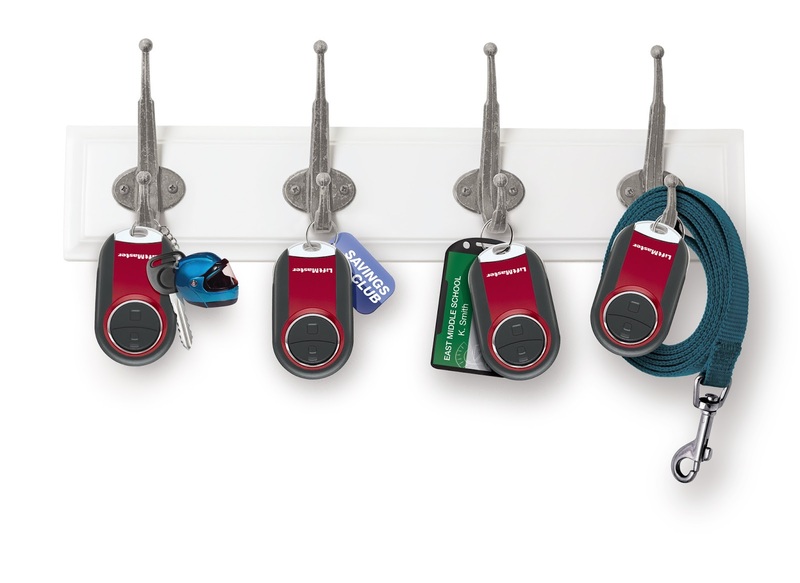 As one component of LiftMaster's Universal product line, the remote complements the Universal Keyless Entry pad or the 2-Button Universal Remote Control (with visor clip), forming a complete garage access system. This mini remote control is now an essential for me every time I leave the house on a walk, run, bike ride or even garage saleing. I love that it clips easily on my stroller, clothes or even in my pocket. Plus, it is a great gift idea for any Dad this Father's Day!